Quattroporte The original race-bred luxury sedan. Since 1963. The interior expresses contemporary luxury through the use of fine materials and restrained design. The dashboard, divided horizontally into three levels, features a broad central band across the entire width of the car, with the large Maserati Touch Control touchscreen display in the middle. It feels like every surface that’s not trimmed in fine wood is covered in soft Poltrona Frau® leather. Maserati claim the result is like an exclusive lounge, and the cabin of the Quattroporte is certainly a delightful place in which to spend a long journey. 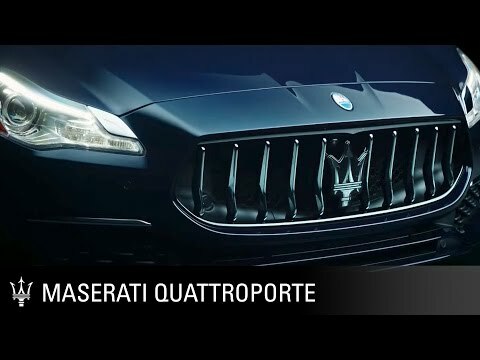 In Quattroporte, Maserati has created a unique and exclusive car, designed for the discerning tastes of entrepreneurial pioneers and business trailblazers – high achievers who relish the unconventional and avant-garde. Naturally, for such a demanding clientele, Quattroporte is available in a number of different guises and with three inspirational engines. These safety systems constantly monitor the space between Quattroporte and other nearby vehicles. When a side or rear blind spot is encroached upon, for instance by another driver changing lanes, illuminated icons appear in the door mirrors and an audible alert is sounded.